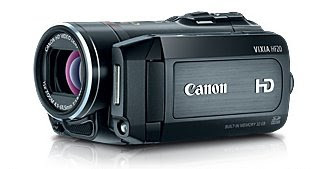 I purchased a high-definition video camera, Canon HF20. It creates AVCHD files with an extension of .MTS. I wasted several days looking for software to transcode the clips to something YouTube would accept. I say wasted because it turns out that YouTube will process MTS files straight from my video camera. So if you have MTS clips that don't require any editing just upload them to YouTube and they will appear in their pseudo high-definition glory shortly. Check out the clips below. For some reason, when I post a MTS to youtube, the resulting movie has _very_ slow video. See http://www.youtube.com/watch?v=PyUGXis9f5Q for example. Did that happen to you aswell ? @Raphaël I didn't have that problem that I know of. I haven't posted any videos with dialog yet, only wildlife videos. I'll do some testing and let you know what I find. What is the make and model of your video camera? I also experience the slow video problem with a Canon HD CMOS Vixia. Excellent tip, Mr. Patrick. I am honestly quite shocked by the quality of MXP format videos on my new HF200. It's astounding...and translates well to YouTube. I've seen the same slowdown when viewing .mts files on my computer using the free K-Lite Codecs (http://www.codecguide.com/download_kl.htm) Almost seems half-speed. I wonder if it's because I've been using a 30p framerate? I think I will experiment a bit. What framerate are you choosing when recording for YouTube? Can you provide some details about the configuration you were using to film this such as frame rate and bit-rate and even camera mode? I filmed an event in 60i 24Mbps and am having a problem uploading it to youtube. @Pavel Here is the output from ffmpeg. This should tell you what you need to know. If you shoot a video using a Cannon and you pause two or three times during the session - then a number of MTS files are generated accordingly. How are the, say 3, files combined and played as a continuos video? Also when uploading to YouTube how should this be done with the 3 MTS files for the one video session? I hope tis makes sense! Thans for your help.